Firearms For Sale / $800 shipped. 1969 Albanian. All matching. Time to fund a non-firearm-related project, and also lighten up just a smidge before moving westward. I saw this post and was surprised to remember that I actually have one similar. Cursory research has mine as a 48, with I suspect a couple of parts off of a 50. It took a couple of days to remember where we keep it....it goes with the wife when she is stationed in the forest alone for half the week. I remember trading a Compaq Pentium I desktop for it in around 98. I did a little research years ago and found out about the six inch barrel models....super cool to see one. Does anyone know if these grips, which are more robust and look nicer than mine, are for the six inch models, or just more modern? I'm not much of a revolver guy, and this is the only one I have ever had...it covers the base for me in that regard. Although seeing a sixer with a six inch...might have me on the lookout for one. Especially if I come across one as nice as yours...seeing one with such nice bluing is kind of an eye opener. 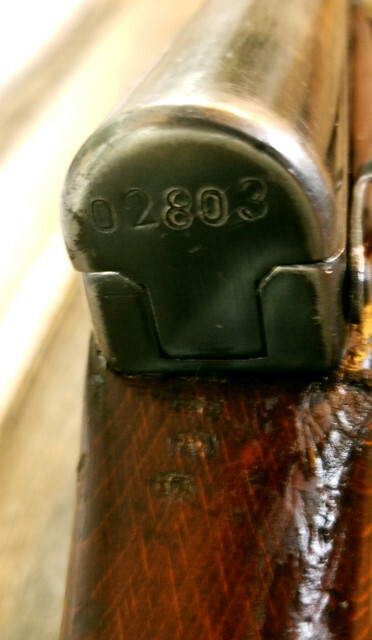 Any idea what a mismatched early four inch barrel would be worth? I know for sure we don't have it's serial recorded...which will now be rectified, but I also wouldn't mind adding it to the insurance paperwork. Thanks for reminding me about these...I wonder how long I might have forgotten about it, it's been about five years since I last laid eyes on mine. LC - Other than the 'DB 721', how were you able to determine the manufacture date of January 1972. I can measure all of mine Marcus. When you say 'width', do you mean the height of the slot, the depth of the notch, or it's actual width from side to side? 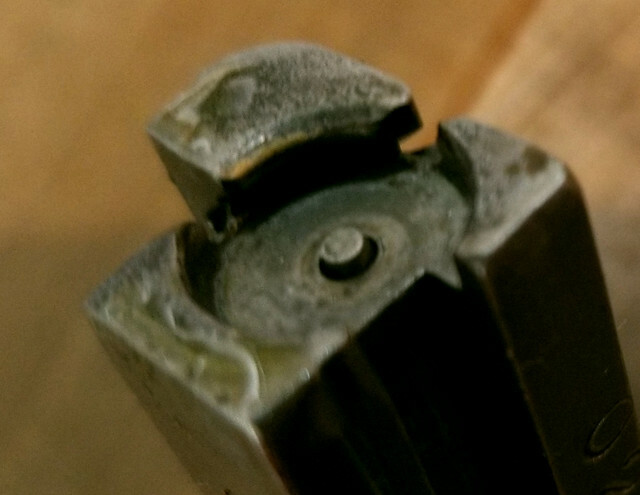 The width of the tab on the bottom of the rear sight that holds the 10 round internal mag or high cap mag in place. They will likely be in the 10-11 mm width. I'm interested in the "spread" of the width. That's a stunner! S&W K Frame long barrel, a classic wheel gun. P32 yes it has a 6" barrel.